Learn why you should invest in a security guard patrol service. Having a security presence on your property is about more than just protecting your assets. Of course, you want to keep your property, possessions, and employees safe, and for many that peace of mind is reason enough to invest in a security guard patrol service. For your customers, however, the presence of a security patrol also sets their minds at ease. Investing in security guard services for your commercial business shows them that you take your business’ security and customer safety very seriously, and that speaks to the trustworthiness of your brand. 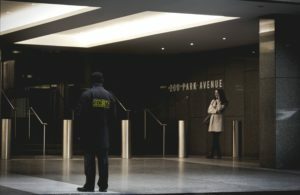 Continue reading for four great benefits of hiring a security guard patrol service for your business. Security issues can happen at any time of the day or night. Many people associate security patrols with stopping shoplifting during the day and responding to incidents when people are in the building. However, they also respond to incidents at night. This includes deterring break-ins, as well as monitoring and responding to other issues and threats, like power outages, fires, and even fallen trees or limbs. A security guard patrol service can often respond faster than owners can in the event of an emergency. If you’re away from town or occupied with something that can’t be disturbed when an emergency happens, you can rest assured that your security service will respond promptly and appropriately until you can get there. Professional security guard services don’t just respond to threats and issues, but they also offer a visual presence through their uniforms and vehicles. This means that your customers will see them and be put at ease, knowing that the security team is ready to handle anything that happens. Security service providers depend on their reputation for business, so they are conscientious with recruiting and hiring. A reputable company will carefully screen their applicants and will hire only people who meet their standards. Many already have security training and experience. These individuals have skills in conflict resolution, threat identification, and crowd control, so they know how to handle any situation that may arise. They also have a professional attitude and demeanor, and they will present both a welcoming presence to your customers and a deterrent to potential threats. While safety and security are a priority, you also need to consider your budget. While professional security guard services may cost more than a simple security system, they also can prevent emergencies and save you from the great expense of repairing or rebuilding. Hiring them may also help with liability and insurance costs. Our services include the following: Professional security teams for permanent, temporary, emergency and rapid-response support; around-the-clock patrols and management attention; concierge and hospitality staffing; and a dedicated mobile patrol service with associated staffing. Contact us for a free, professional consultation today! Call 443-471-7000. Don’t forget to follow us on Social Media through Facebook, Twitter, and LinkedIn!